Are children encouraged to develop their creativity with the Montessori method? In a Montessori classroom, the children do not spend the entire day doing artistic activities and yet they become especially creative. Sculpting clay, watercolours and gouache painting supplies are all readily available to them, but often times they most enjoy the practical life skills material, geometry, spelling with the mobile alphabet or other interesting work in the class. Regardless of the work the child chooses, he needs to invest himself in it. He therefore spends time exploring it to better understand its function. It is through this process that the child develops his creativity. All the material is carefully prepared to be attractive, rich, beautiful, harmonious and a source of creative inspiration. The absence of adult judgment allows the child to develop his self-confidence, openly explore and personally find solutions. In this way, all the Montessori material encourages the child’s natural curiosity. The development of a child’s creativity is vital to becoming an accomplished adult, who knows how to make strong choices and build the life he desires. How does a child adapt to the traditional French school system after finishing the Montessori 3 to 6 cycle? The strengths developed by the children in a Montessori class become a part of them for life. The children have learned to know themselves, know other’s limits, develop their willpower, concentration, autonomy, a sense of responsibility and self-control. All these qualities create a strong base on which to build in a new school system. Children naturally want to socialise and have friends of all ages. The notions the children have learned through hands-on, sensorial material will now be taught in theory. How wonderful to hear teachers talk about cubic roots, fractions and parallelepipeds that they have already touched and manipulated in a Montessori kindergarten! Theoretic lessons become all that much more interesting because the children have a clear idea of what they are being taught. After years of concentrated, enthusiastic learning, the children who come from a Montessori kindergarten are generally well liked by their new teachers in the traditional school system. They most often keep their enthusiasm and desire to learn, are invested in their lessons and participate in class. It is also worth noting that the rules they have integrated in the Montessori classroom are much appreciated by their new class environment. How are the notions of freedom and discipline handled in the Montessori method? 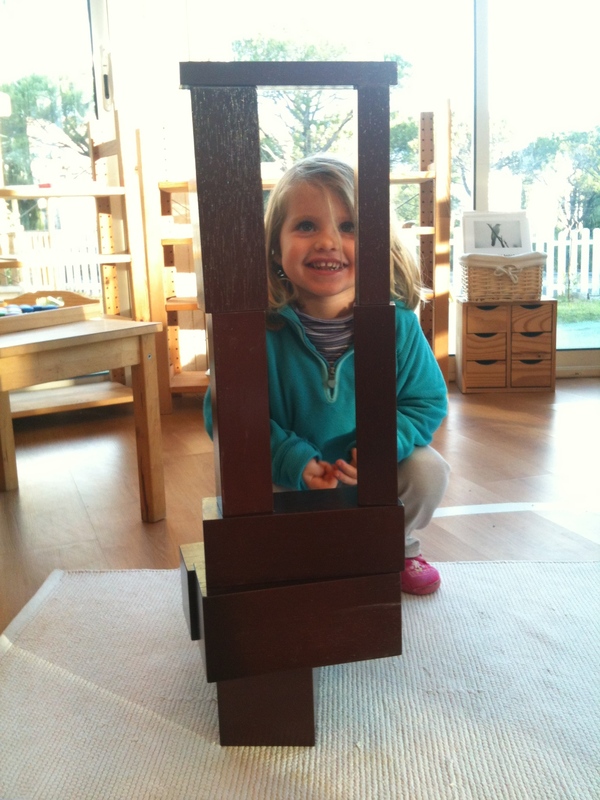 In the Montessori system, there is a fair balance between freedom and structure. The children are free to move about in the classroom as long as they respect the rules which are essential to the functioning of the class. The adult shows them how to put away the material, move a chair silently, respect the personal space of the other children in the class, how to speak quietly, etc. The children remind each other of the rules when they are broken. Learning the rules is important to help them adapt a behaviour that they see as fair to others and to themselves. The children learn to think for themselves and to make good choices that are respectful towards their classmates. Unruly children are not truly free, but slaves to their own immediate desires. Being free means much more that doing what we want when we want. It is being capable of self-control, discerning what is constructive and beneficial from what is not, and being able to make good choices. Children who are respected, happy and passionate by what they do are also calmer and more respectful than those that are forced to obey rules that are overly strict and do not allow their needs to be met. A Montessori classroom is extremely quiet and calm; the educator never raises his or her voice and even whispers when necessary. The school is administered under the associative 1901 non-profit law. The administrative members are all volunteers. 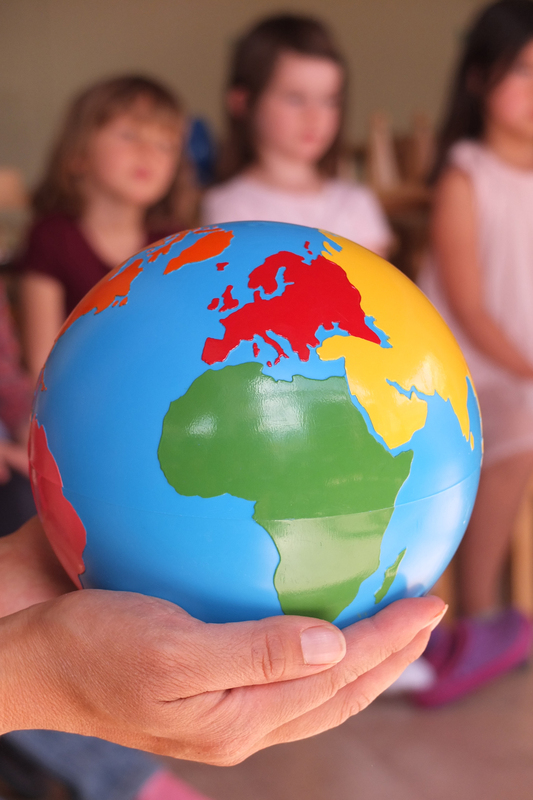 In each class there are two Montessori educators, averaging six to fifteen children per educator. The school does not receive any financial assistance, but functions solely on the fees paid by parents, which amount to about 6 500€ per year. A student in a French public kindergarten costs the state between 7000€ to 9000€. How do I enrol my child at the school? Parents interested in enrolment can contact the school head and arrange a visit with their child around 9 a.m. (Monday, Tuesday, Thursday or Friday). They are also asked to send an email to present their child, their motivation and their expectations for the school. A meeting with the teaching staff is regularly arranged preceding enrolment. Does the school have any links with the state? Is it a part of a Montessori organisation? The Jardin des Soleils is a private school with no state contract, but still officially declared with the French education academy. The school is regularly inspected by the academy, as are the public schools. We are also subject to health and safely visits which inspect kitchen facilities, electrical systems and hygiene. The local security inspection commission also carries out their own inspection of the school grounds. 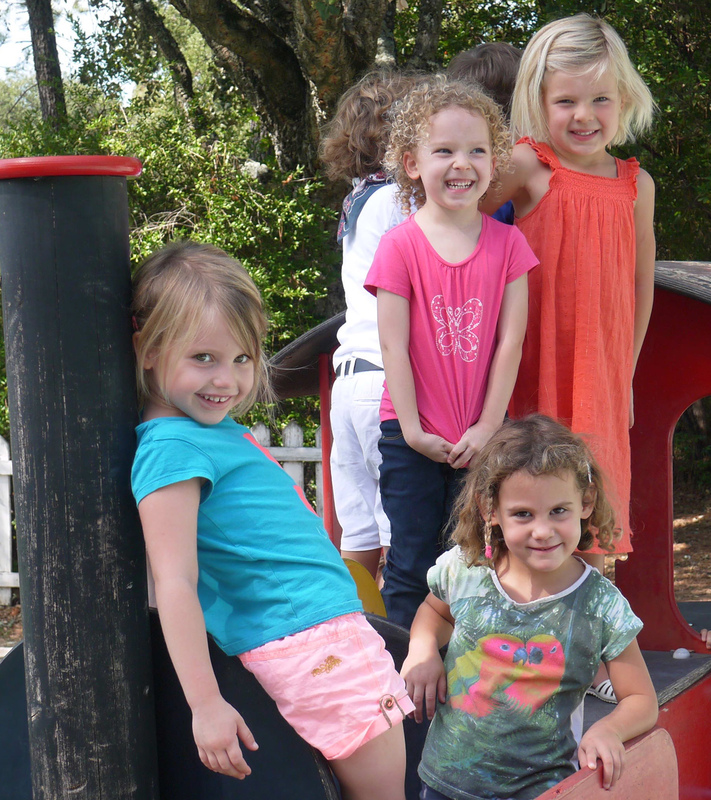 The school is affiliated with the Association Montessori de France and the Montessori International Association. 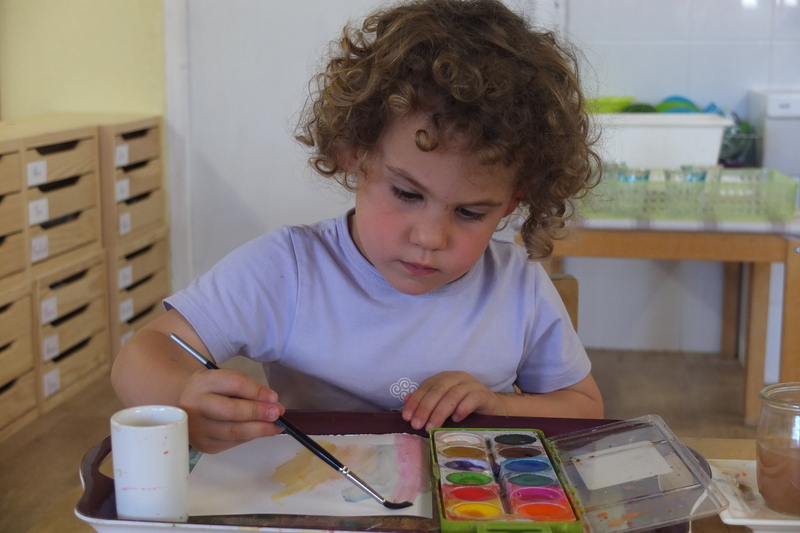 The school meets with other Montessori establishments and takes part in bi-yearly meetings with the Montessori schools of the south of France. Where can I learn more about the Montessori method? It is also possible to come to the conferences we offer at the school. Subjects include the Montessori method, child psychology and the material we used in the classroom.